I’ve been on a bit of a scrapping spree the last couple of weeks. I had a lot of fun participating in the Two Peas online crop last weekend. This one was for a challenge to use a trend – I added a banner to complete a page I had set aside in January celebrating the end of diapers in our house. 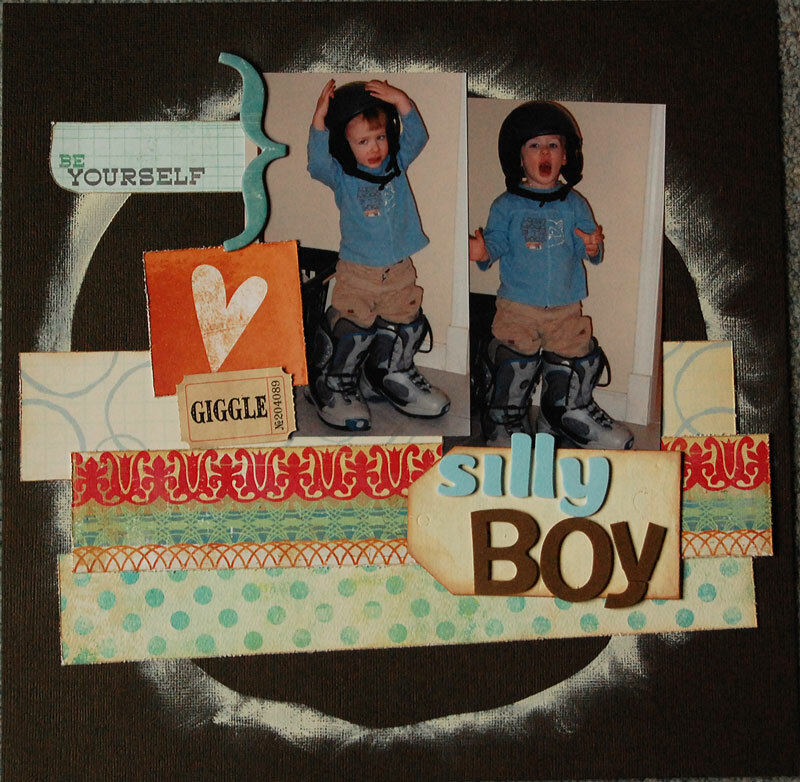 This one was for a challenge to use strips of patterned paper for a background. I mixed up strips of a couple My Mind’s Eye papers with some old Basic Grey and Cosmo Cricket and added spots of Studio Calico behind the chipboard snowflakes. Love this photo of my oh-so-confident littlest boy. 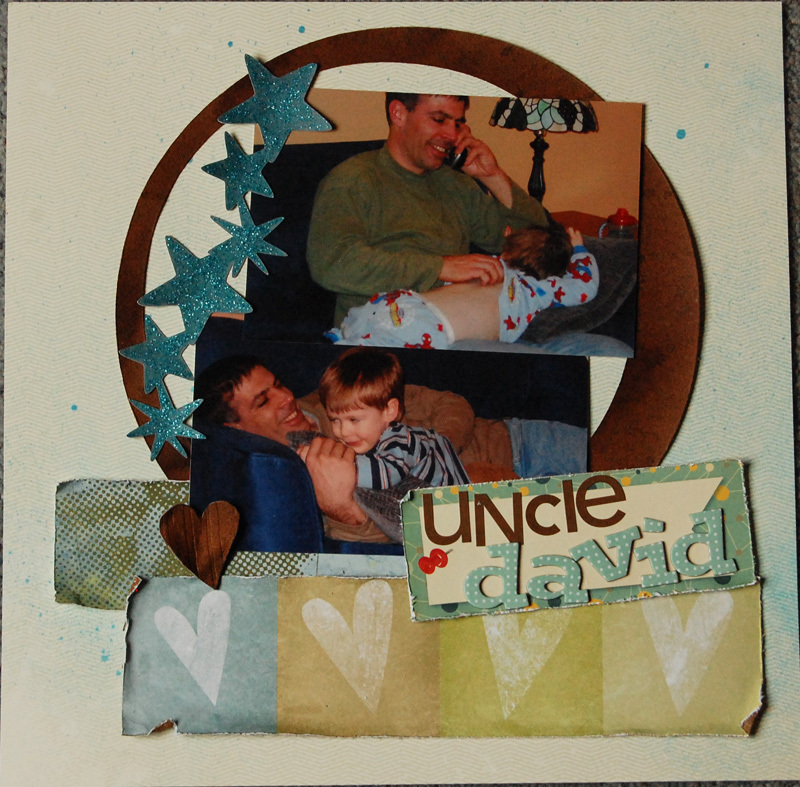 These next two were started for a scraplifting challenge on the Two Peas message board. For some reason I was inspired to do two pages based on the same inspiration page working side by side on my table. Love your layouts! 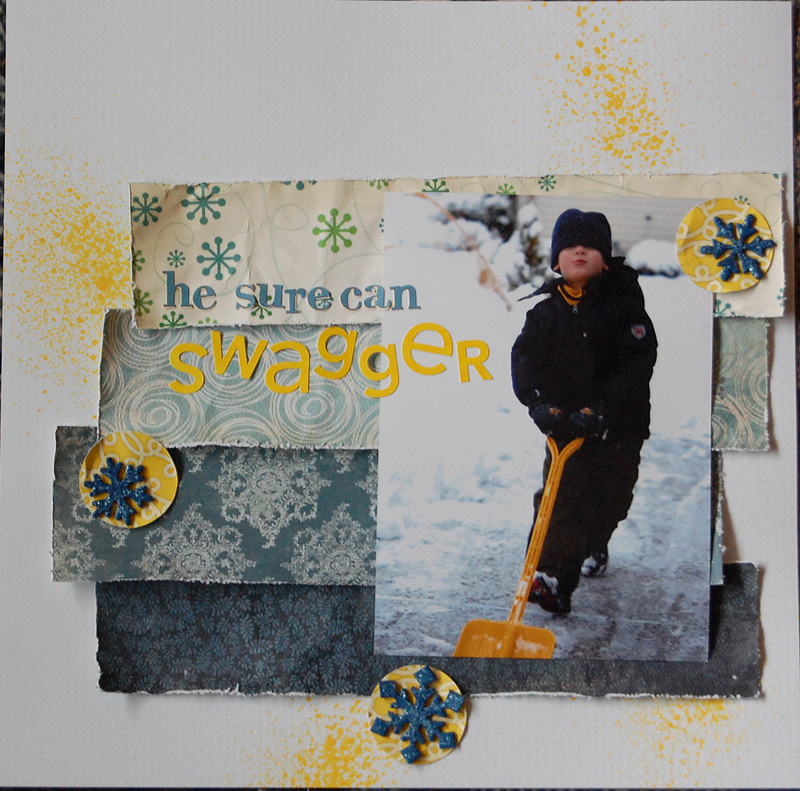 Especially the splashes of yellow on the swagger layout 🙂 I’m a classmate from Shimelle’s Blogging for Scrapbookers class. Looking forward to your posts!